What will it cost me to ship my car to Hawaii? How long will it take to ship my car to Hawaii? Hawaii is always a great destination, whether it’s for vacation, an extended stay, a business trip or a complete move. It’s one of the most popular destinations on the planet due to its gorgeous appearance with incredible beaches, lush palm trees, amazing volcanoes and it’s superb weather. Having a car while you’re there is essential to being able to see all the amazing sights you can see in Hawaii. For example, it would take you about eight hours by car to drive around the outside of the “big island” and that’s without stopping to see sight-seeing attractions. If you wanted to see the major and most popular sights, you should consider budgeting yourself at least twelve hours to do so. Without a car, who knows how long it would take. So, it is clear you should really have a car with you during your Hawaiian excursion. You could obviously rent a car, use ride-share apps or dreaded public transportation. But, if you want the cost-effectiveness and peace of mind of having our own vehicle while you’re in Hawaii then you’ll want to take a look through this guide on having your car shipped there. The first thing you should be aware of is that you either need to have your car registered (if you plan on moving there) or you need to get a temporary permit. You can only do either once you and your vehicle arrive there. Unfortunately, you won’t be able to do any sort of online pre-registration. You will, at some point, need to make it down to the Hawaiian Department of Motor Vehicles. This permit will be good for up to a year once you complete the required process. Some of you will be moving to Hawaii rather than just visiting. In this case, you will need to get your vehicle registered with your new state. In this case, you will need to make sure that you visit the DMV in the county that you are living in and complete any necessary steps in order to complete the registration and license plate change. Be sure to do this as soon as you can after arriving in Hawaii. This also goes for those of you who are moving to Hawaii and are buying a car from a dealership or from an individual. You will have some additional requirements as well, so be sure to check in with your new county’s Department of Motor Vehicles. There are some cost exemptions for members of the military. You might qualify to have the registration fee waived depending on your current service level in the military. However, most military members will be exempt from paying additional vehicle weight fees. As you might expect, it will cost considerably more in order to ship your car to Hawaii than it costs to ship it within the Continental United States. This is due to the additional distance, fuel cost, lessened carrier availability and the coordination it takes to fulfill these shipping requests. The price of shipping to Hawaii can also grow depending on which special shipping options you choose for your transport such as expedited shipping or air transport. In order to give you a better idea of how much it might cost you to ship your car to Hawaii, we have complied a list of quotes for shipping to Hawaii from major US cities. These prices were quoted with door to port shipping chosen. Door to port shipping enables many carriers to pick the car up at your house, or close by, for an additional charge. 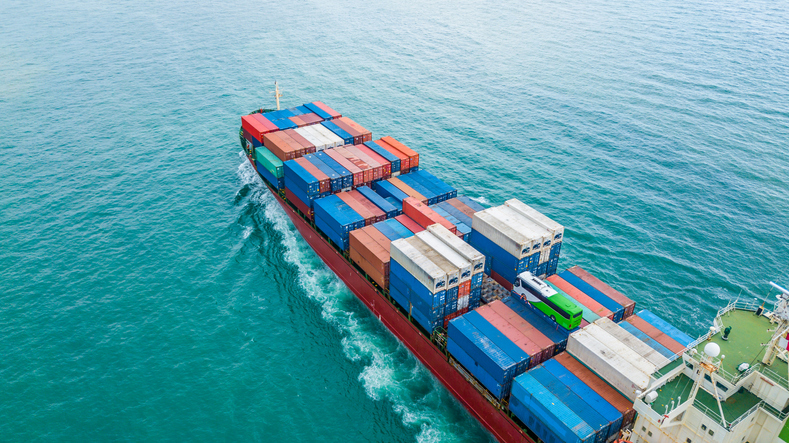 Door-to-port shipping to Hawaii is much more convenient than port-to-port shipping to Hawaii and, as a result is much more popular. For each quote a 2019 Nissan Altima was used. The shipment was booked a month in advanced in the spring of 2019. Each shipment was sent to the Honolulu port. The alternative is driving your car to the port or to an approved central hub yourself which will likely end up costing you the money you saved in the cost of fuel and then transportation home via a train, bus or plane. Shipping your car to Hawaii will also take longer than your average car shipment. Obviously, it’s a larger distance for a carrier to transport your vehicle thus it will take longer. There are multiple variables at play here, just as there are with the cost of your shipment. As mentioned before, exactly how far you are shipping your car plays a large role in this part of the process. If you are shipping from Los Angeles to Hawaii versus New York to Hawaii the Los Angeles shipment will obviously ship in less time. Carrier availability is another important part of the duration of your vehicle shipment to Hawaii. As more carriers become available, it will lessen the length of your car’s shipment because there are more routes to choose from rather than a “take it or leave it” type situation where only one or two longer than normal routes are available to choose from. These are some estimated transit times for shipping your car to Hawaii. Remember these are only estimates and are subject to change for several reasons. This is why you should plan ahead so you can prepare to be without your vehicle for that time frame. New York will take about 3 weeks to ship to Hawaii. Boston will take about 3 weeks to ship to Hawaii. Chicago will take about 3 weeks to ship to Hawaii. Los Angeles will take about 2 weeks to ship to Hawaii. Dallas will take about 3 weeks to ship to Hawaii. Be mindful, that when you get your drop-off window it will be a window of a couple days. So, if your estimate says your car will be available at the port somewhere between twenty and twenty-two days from pick-up, it may actually take the full twenty-two days. The car shipping process can be a long and complex one. However, it does not need to be. If you know your way through the following steps, then the whole process should be a breeze. Get a quote – The first step in shipping your car to Hawaii is to get free quotes from any auto transport companies that you might be thinking about using. This way you will be able to compare prices and transit times and choose the best option for you. Any reputable company will have a free quote available on the homepage of their website. Book your shipment – After you have decided on a company you will need to book your shipment. You will just need to call the company you chose and let them know the details of your shipment such as the make and model of your car, when you want it shipped and the pickup and drop off locations. Remove all personal items from the car – Any lost or damaged personal items won’t be covered by any insurance you get for your shipment. Why risk it when you can bring those items yourself and guarantee their safety? Get the exterior of your car cleaned – Your driver will need to conduct a thorough visual inspection of your car and will take note of any pre-existing damage on the bill of lading. In order for the driver to be able to do this, your car needs to be clean so that they can see any scratches or dents with ease. Ensure that your gas tank is only a quarter full – By doing so you will be making sure that you are not adding any unnecessary weight to your vehicle. It is also against fire safety regulations for cars to be transported aboard a ship with more than a quarter tank of gas in them. However, make sure it isn’t much less than a quarter tank of gas because the driver still needs to drive the car onto and off of the carrier without running out of fuel. Disable the alarm or make sure that there is a simple way for your driver to turn it off – If your alarm goes off during the transport process, your driver will take any steps necessary to get it turned off and that includes disabling your cars battery. Take pictures of your car before your driver arrives to pick up your car. Use a digital camera so that you can make sure that they have date stamps on them. Doing this will serve as proof that damage occurred during shipment and was not pre-existing. It would be extremely rare that you ever need to prove something like that. However, it is better to be safe than sorry. Your vehicle is picked up – Your driver will come to your house and pick up your car. This includes the performance of the inspection, checking your documents and loading the car onto the carrier. If you are located on a street that is particularly narrow or that doesn’t allow large trucks on it, you will need to meet your driver at an area nearby. We suggest large mall and school parking lots for this. When you do pick your car up, you will need to make sure that everything is in working order. If you find anything wrong with it, you should take note of it on the bill of lading as well as take pictures of the damage with a digital camera so you can have date stamps on the photos. You will then have to get into contact with your auto transport company and move forward with their instructions on any damage claims. Be aware that these circumstances occur extremely rarely, so, you will likely not need to worry about this. You could ship your car the entire way by plane or you could drive your car to the port yourself and go with a regular freight company, however, we highly recommend that you use an Auto Transport company such as Hawaii Car Transport. Shipping your vehicle by air can get outrageously expensive. It’s generally something that’s reserved for antiques or other types of very rare cars. Driving your own car to the port or central hub can be extremely time consuming and can end up eating through most of the money you saved through the cost of fuel for your own car as well as the cost of transportation home once you drop the car off. With an auto transport company, you’ll have the peace of mind of knowing that your car will be shipping safely without you having to drive the car all the way to the port or to the hub yourself. You also won’t have to spend any additional money on transportation for yourself. You will also want to consider whether or not the particular car shipping company that you are considering is a direct carrier or a broker. Direct carriers are generally cheaper but there is less buyer protection and direct carriers are always limited in the routes they can service. Brokers use a network of carriers in order to facilitate the best routes with the most efficient transit times and cheaper prices for the customer. Brokers also have entire departments dedicated to customer service whereas some direct carriers operate their entire company as a single person. Before your car is picked up, be absolutely sure the exterior is clean, and that the vehicle isn’t leaking anything. Any fluid leaks could result in an extra charge for damaging another vehicle during transport. Take everything out of the vehicle that isn’t a part of the car including roof racks, personal items etc. Make sure there’s a clear and easy way for the driver to disable your car alarm during the shipment. In fact, when your car is being picked up make sure that you let the driver know of anything wrong with the car that could possibly affect them handling it. Make sure you have the following ready at pick up: your shipping booking confirmation, non-expired driver’s license, current registration, vehicle title, Lien holder’s permission to ship vehicle, if you’re leasing or financing the vehicle (check with your carrier to see if they require this), Proof of insurance (required by Young Brothers only), Copies of your keys to all parts of the vehicle and the contact information for the person who will be present to pick up the vehicle. Keep this guide handy. There is a lot of information to remember here. When you are preparing to re-locate or move altogether, you will have enough on your mind whether it is settling into a new home or things like switching your mailing address and phone number. You shouldn’t have to also worry about remembering every tiny detail regarding your car shipping process. In addition to using this as a reminder, you can use it as a jumping off point for any questions or concerns you might have for your auto transport company. It’s important to do your due diligence with your car shipping company because you don’t want to end up with a carrier who isn’t trustworthy.